The Basement Doctor, the leader in dry basements, clean crawl spaces, foundation repair and energy efficiency is seeking an experienced sales representative. You meet with prospects in their homes, diagnose their basement waterproofing or crawl space problems, and offer the correct repair solution. Then complete accurate paperwork and work with production to ensure the homeowner’s needs are met. 2 Years minimum experience (in home sales preferred).  The success of The Basement Doctor lies within our dedication to quality, responsibility and integrity-to do the right thing at all times. Our staff, products and network are all founded on our belief in these ideas. We focus on both the personal and professional growth of our people. Training for installation and production, business and system procedure development, management training and all other functions for our network are hosted at our headquarters in Reynoldsburg, Ohio. We ensure that our sales people are highly trained. Click the button below to submit your employment application and arrange for a personal interview.